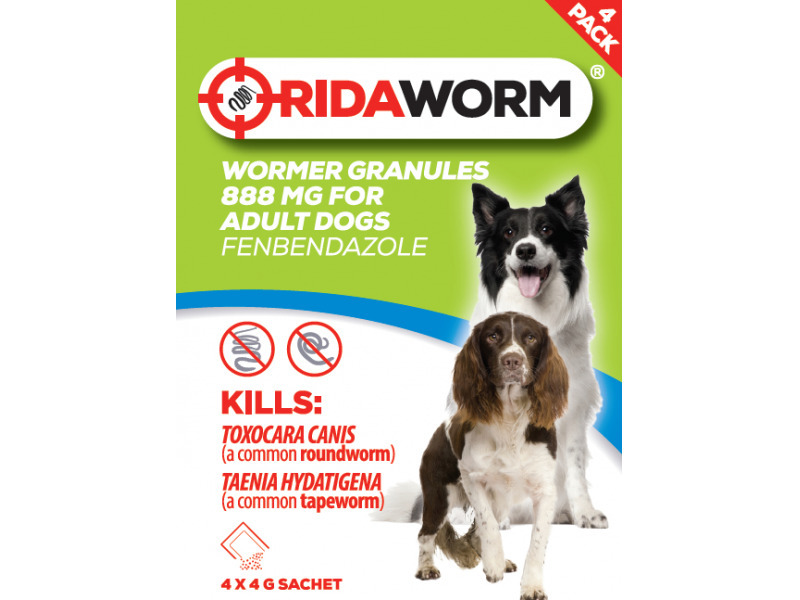 Ridaworm Wormer Granules is an efficient Fenbendazole containing wormer for adult dogs that kills Tococara Canis (a common roundworm) and Taenia Hydatigena (a common tapeworm). For oral administration only; sprinkled onto food. For the routine treatment of adult dogs a dosage of 100 mg/kg is recommended. kg bodyweight; 3 sachets for 24 kg bodyweight etc.). alternative product must be selected. Benzimidazoles have a wide margin of safety. kinetically under physiological conditions than the mammalian complex. plasma concentration in dogs 4 - 9 hours after oral administration. concentrations are found in the liver. mixed with other veterinary medicinal products. granules, with a heat-seal closure. Each carton contains 1, 2, 3, 4 or 5 sachets. c/o Michael McEvoy and Co. 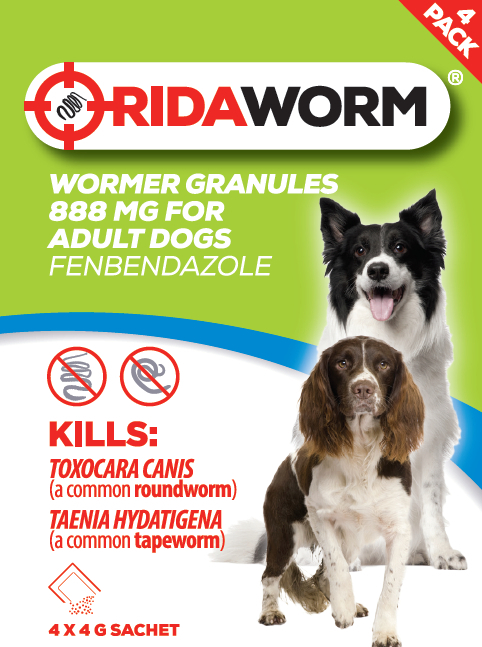 There are currently no questions for Ridaworm Wormer Granules - be the first to ask one!